Police and Security Vehicles have special demands on them. The electrical system on modern cruisers must be reliable and powerful to ensure the reliability of the vehicle as well as to power all the specialized computers and accessories. Factory installed lead-acid batteries utilize 100 year old technology that is outdated, heavy and has a relatively short life span. 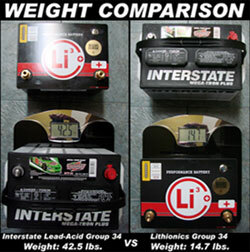 First, our batteries save weight and are typically 12 to 15 pounds versus 40 to 55 pounds. This translates to faster acceleration, faster braking and better handling. This can be critical for EMS vehicles where you are required to have your EMS vehicle meet stringent weight restrictions. Second, our batteries have a 10 year service life and can be rebuilt which means they have about a 20 year working life. Our lithium ion batteries charge 3 to 4 times faster than regular batteries. 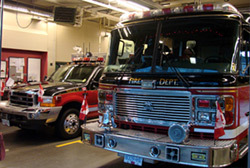 This is important for vehicles to be ready for the next call. We also offer backup power batteries and batteries for multi-battery installations. You can even order our batteries with a built in 120 Volt AC inverter and 2 GFCI outlets to power 120 Volt equipment on demand. 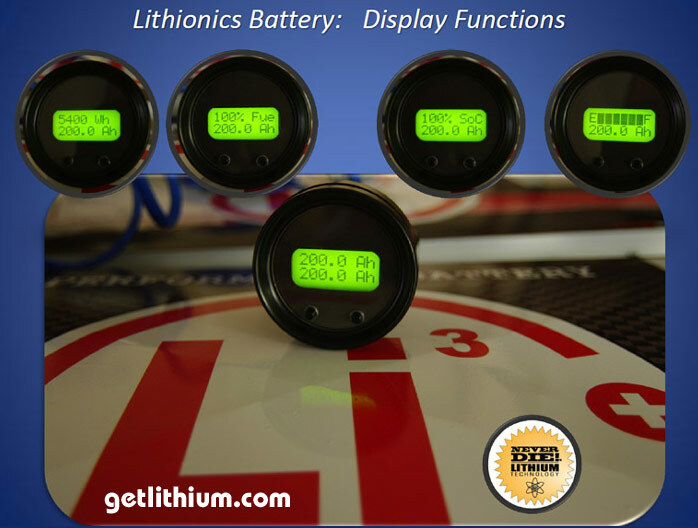 Lithionics Battery combines its modular lithium ion automated assembly design with advanced Battery Management Systems (BMS) electronics to provide the widest range of automotive batteries available worldwide. 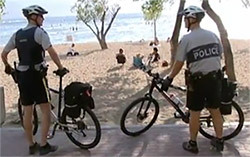 all mobile Police functions = less fatigue and faster response for Officers. 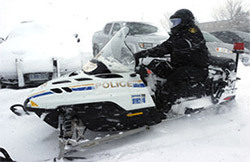 batteries for winter Policing and more. 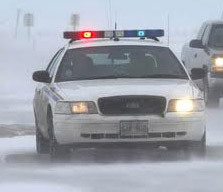 Winter weather puts higher demands on Police vehicle electrical systems. Our batteries will help get your Police Cruiser started and keep it running with dependable power. guaranteeing you at least 2 or 3 engine starts. NEVERDIE system below through this link. 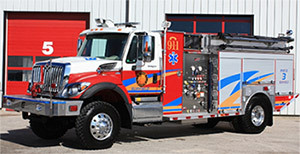 Heavy, diesel Fire Department Pumper, Ladder, Paramedic and Rescue Trucks require powerful, dependable and rugged batteries. 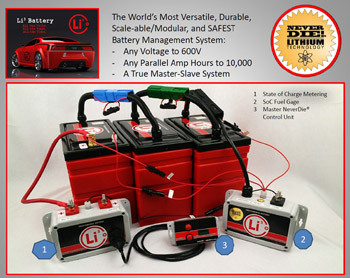 Our Lithionics lithium ion batteries will cover all your needs and will save hundreds of pounds of weight. Our lithium ion batteries also offer the advantage of a much longer life (10 year service life and a 20 year working life) than conventional lead-acid batteries which last on average just 22 months. We also offer a comprehensive warranty to ensure you not only get the best battery on the market, but you also get the guarantee on your investment. 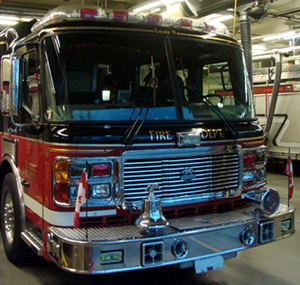 Also important to all Emergency Services Vehicles is the fact our lithium ion batteries on average charge 3 times faster than lead-acid batteries. 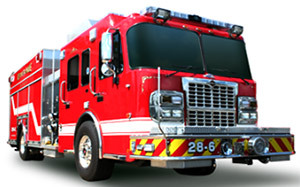 This is critical for fast emergency response times and emergency preparedness. 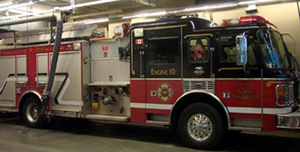 We also offer Fleet Pricing Programs. Email us at siteinfo@shaw.ca for details. 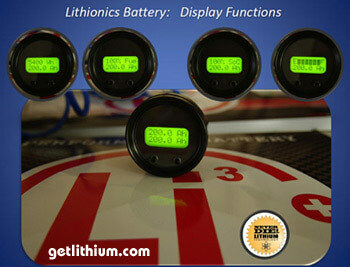 Questions About Lithium ion Batteries? 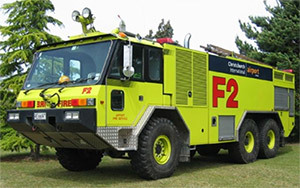 Airport Fast Response Fire Trucks - We can equip your all-terrain airport foam and rescue trucks with our dependable, lightweight lithium ion batteries. 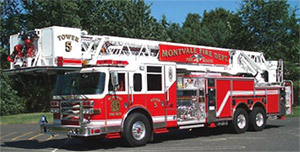 Fire Ladder Trucks - the larger the fire truck and the more batteries needed in the truck will equate to greater performance and greater weight savings. 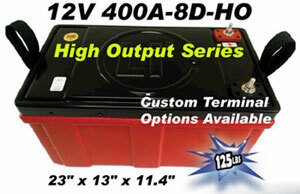 High Output - 3,000 Cranking Amps! 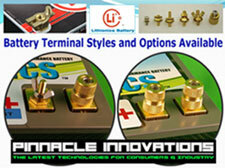 Recharge 3 to 4 Times Faster = Cheaper Cost for Recharging AND Prolongs Alternator Life X 2. Your engine starter will also last 2 X longer. Lower Overall Cost of Ownership - higher initial cost but much lower overall cost over the years. In some cases, such as replacing Four 8D AGM batteries with just One of our 8D lithium ion batteries, the cost difference can be less than $2,000. You will also save approximately 800 pounds! Mount our batteries right-side up, upside down, sideways or on end! With no fluid in our batteries, you can mount them as you wish. 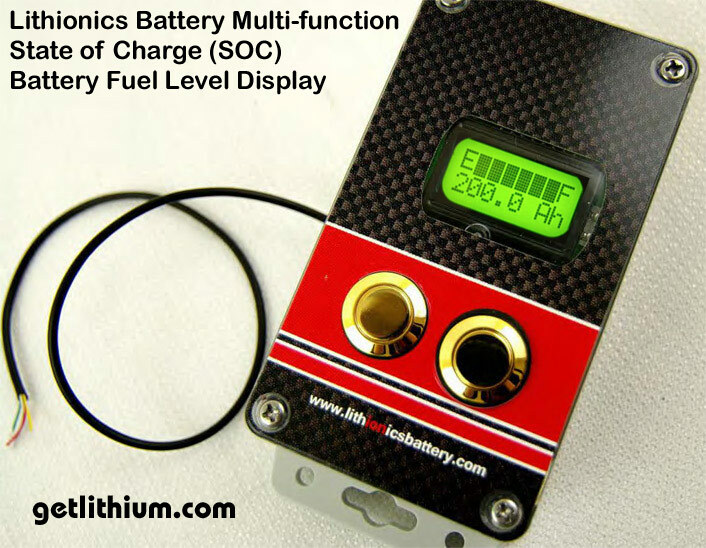 A great, lightweight and low cost lithium ion battery with 20 Lithium Amp Hours Reserve Capacity and higher Cranking Amps. 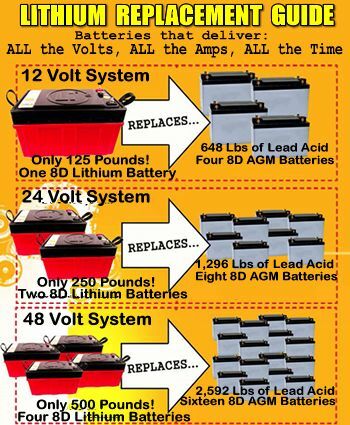 Note: 1 Lithium Amp Hour = 2 Lead Acid Amp Hours. 13 x 6.73 x 8.48"
Note: Click here to view the Engine Cranking battery in a Group 34 case with 1,200 Cranking Amps. A great, lightweight and low cost lithium ion battery with 40 Lithium Amp Hours Reserve Capacity. Note: 1 Lithium Amp Hour = 2 Lead Acid Amp Hours. We also offer this battery in a Deep Cycle Group 31 Lithium ion Battery - shown above. A great, lightweight and low cost lithium ion battery now with 64 Lithium Amp Hours Reserve Capacity and a very powerful 1,300 Cranking Amps. 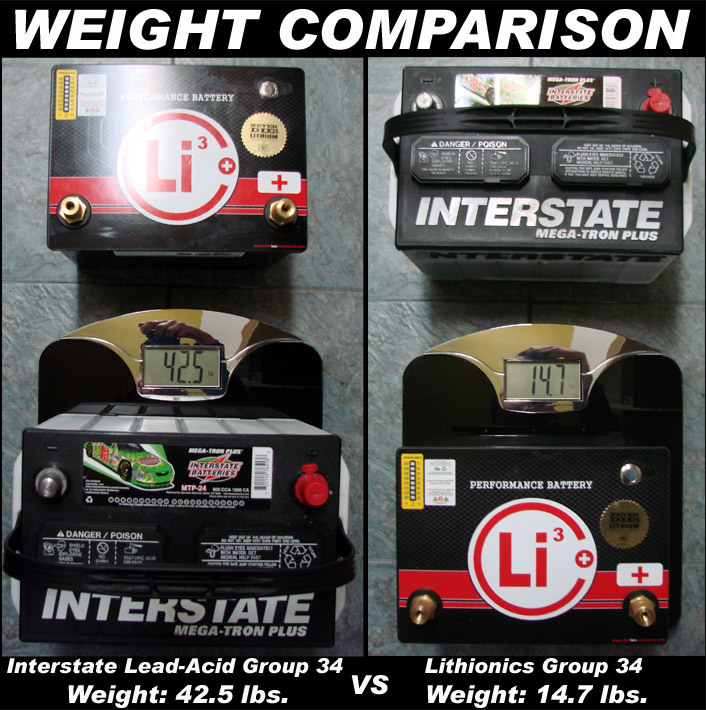 Note: 1 Lithium Amp Hour = 2 Lead Acid Amp Hours. We also offer this battery in a Deep Cycle Lithium ion Battery - shown below. 13.1 x 6.73 x 10.25"
Note: Click here to view the Engine Cranking battery in a Group 31 case with 1,300 Cranking Amps. We also offer this battery in a Deep Cycle Lithium ion Battery in a 30H battery case size. 15" x 8" x 11"
1,200 Cranking Amps, 110 Lithium Amp Hours Reserve Capacity and 1,408 Total Watt Hours. 15 x 8 x 12.85"
1,856 Total Watt Hours and 140 Lithium Amp Hours Reserve Capacity. 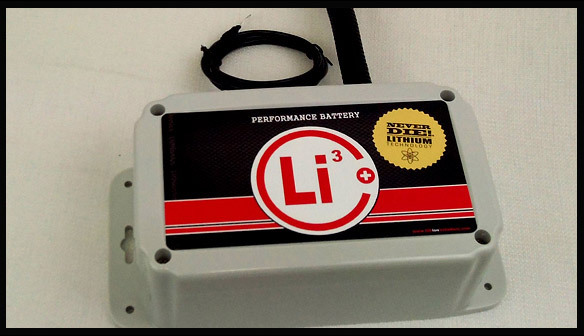 15" x 8" x 14"
OUR MOST POPULAR, MOST VERSATILE AND EASILY SCALEABLE LITHIUM-ION BATTERY. 2,000 Cranking Amps, 2,750 Total Watt Hours and now with 215 Lithium Amp Hours Reserve Capacity. 22.9 x 13.1 x 14"
23 x 13 x 11.4"
New Series with a whopping 3,000 Cranking Amps! 23 x 13 x 14.6"
New Series with 2,000 Cranking Amps! 22.9 x 13.1 x 13"
SoC with Remote Display Fuel Gauge Option shown in the image to the right is shown as part of a Battery Management System where we can also locate our NeverDie Battery Management System in the same box. 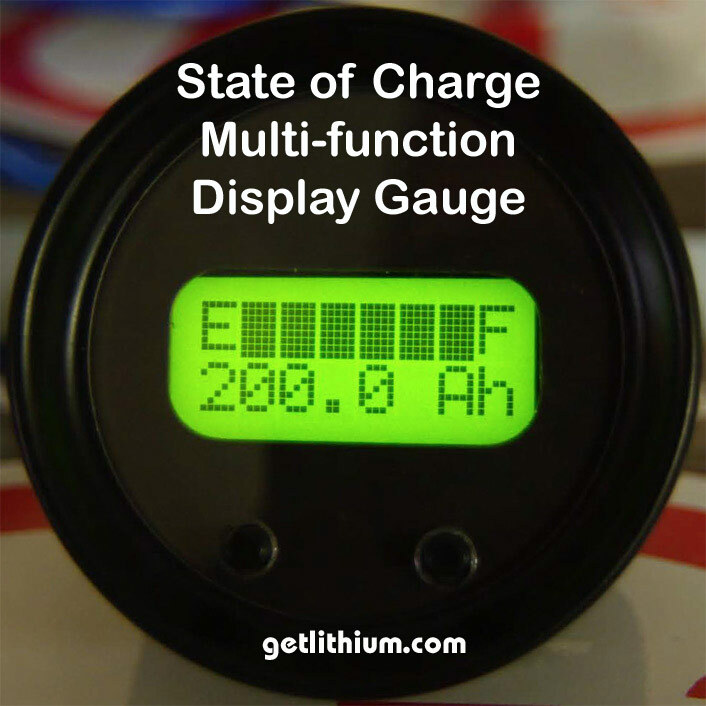 The above graphic shows the SoC Meter Kit connected to a single battery. 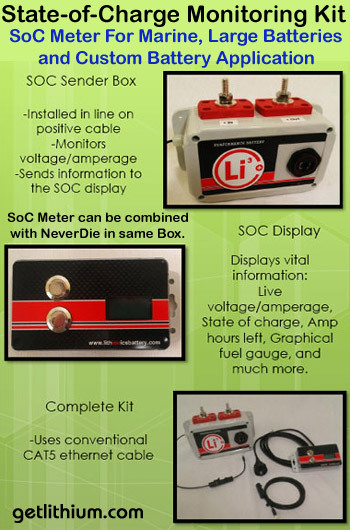 The graphic to the right shows our SoC Meter Kit as part of a multiple lithium ion battery system. 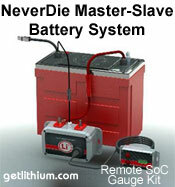 If your battery location is hard to reach, we suggest that you order the "Wireless Remote Key-Fob NEVERDIE Option". This option allows you to remotely turn on and off your battery, as well as wake it up from "sleep mode". 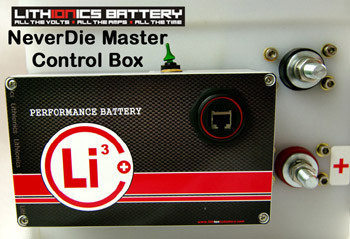 Multiple Lithionics Battery lithium ion battery installations can be ordered with the "Wireless Remote Key-Fob NEVERDIE Option" keyed alike for multiple batteries so that one remote controls all the batteries. IMPORTANT NEVERDIE NOTES: Please check with your vehicle/ vessel manufacturer about the effects of disabling the battery. In Marine Applications for boats that are moored, you should determine how the NeverDie function may affect safety systems - particularly Bilge Pump Operation.